Rosemary Roasted Bone Marrow with Chef Dave / Hey, EEP! Right before we began our stint in the restaurant, Chef Dave treated the group to a mighty snack: rosemary roasted bone marrow spread on baguette. 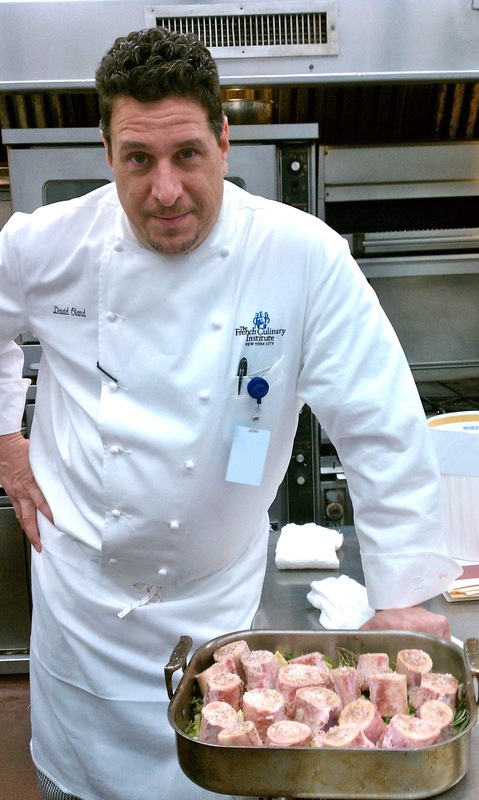 We certainly aren't getting treats like that at the saucier station, now, but it's nice to think back on better times. If the thought of herby meat butter gets you excited, try preparing bone marrow this way at home. It's surprisingly easy to put together. 1. 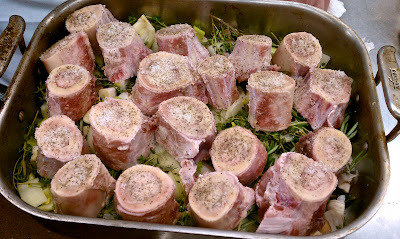 Arrange veal bones in a roasting pan lined with a fresh rosemary and smashed garlic cloves. Sprinkle the bones with salt and pepper. 2. 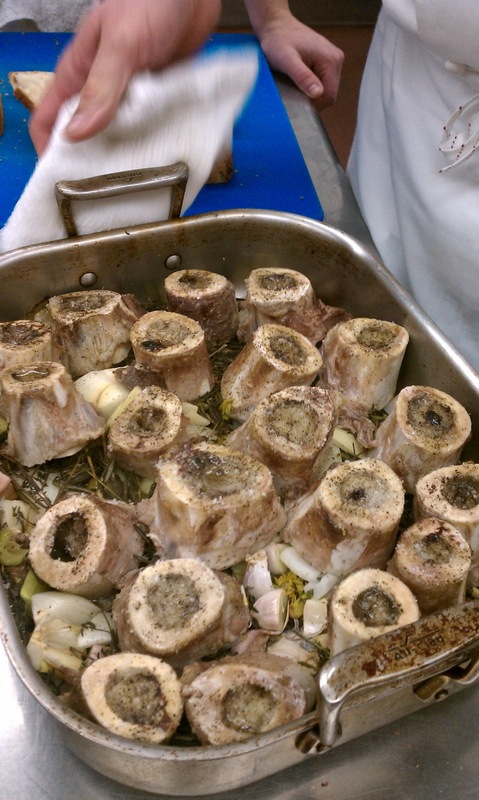 Roast at 450˚ for 15 minutes until the marrow is soft and separates from the bones. Let the marrow cool slightly before spreading it on baguette (the marrow will be easier to push out of the bones as it cools). Remove leftover marrow from the bones and store in an airtight container in the freezer.